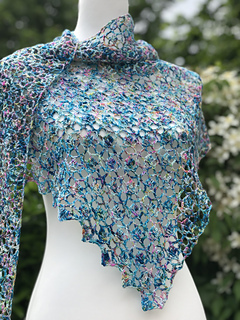 Sliding Doors is a one skein project that could be whipped up for a gift or a colour popping accessory any time of the year. 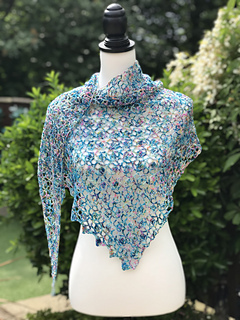 With its rhythmic pattern, this bias triangle shawl is worked from the narrowest point, with all the increases on the same side of each row. 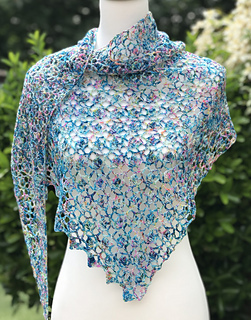 This shawl is so adaptable, it can be made using any weight yarn and any hook size, a pattern to be used over and over again. Pattern includes two versions, UK and US Crochet terms. It has full written instructions with stitch count and a hand draw chart.